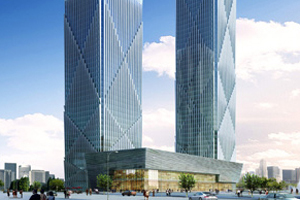 The Conrad Dalian is set to open in China in 2012 on a waterfront site in the Dalian Central Business District. The hotel will offer 210 rooms, a Chinese restaurant, bar, meeting facilities, health club, swimming pool and spa. The property will occupy the top floors of a 35-storey tower that will also feature a conference centre, art galleries, retail boutiques, a theatre, cruise terminal and yacht club. C&IT, conference, incentive, meetings, MICE, events, event planners, agencies , Conrad Dalian , China , Dalian Central Business District, Chinese restaurant, bar, meeting facilities, a health club, swimming pool , spa, conference centre, art galleries, retail boutiques, theatre , cruise terminal , a yacht club.